It can be super frustrating when I’m looking around the internet and I see nothing but awesome foods that I’ll never have access to. Especially the stuff coming out of Asia. Yeah, I get the fact that food trends are market specific. Stuff that worked overseas, may never find a home in the United States, as this Jay Chou lookalike selling durians in Malaysia can attest to. I mean, who actually likes durian? 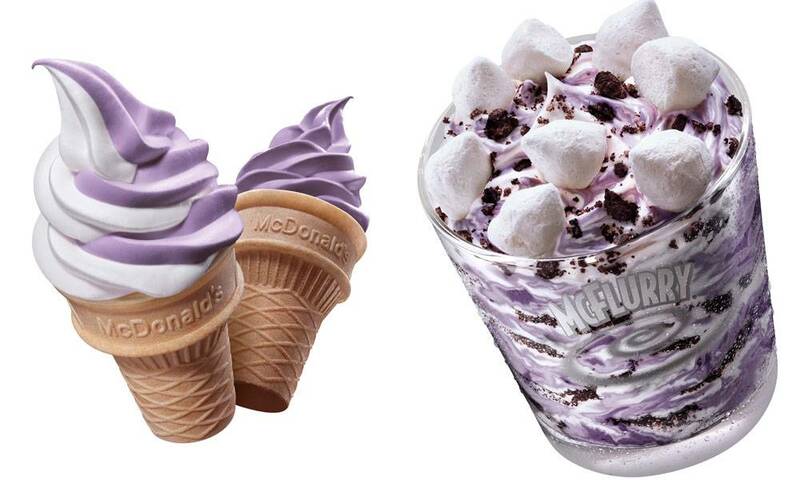 McDonald’s in Hong Kong recently unveiled their newest campaign, integrating Japanese sweet purple potato/yam into multiple items. 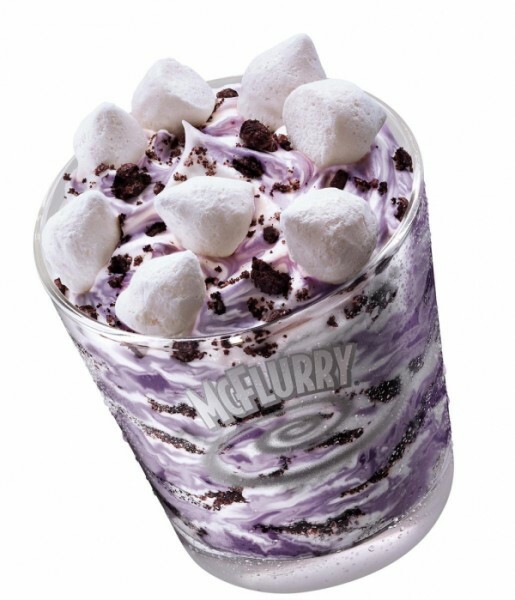 McFlurry’s, soft serve ice cream and ice cream sundaes are just a few of the items getting the revamp. This is not the first time that we have seen purple potatoes crop up at McDonald’s. Look for it at a McDonald’s 6,000 miles away from you.